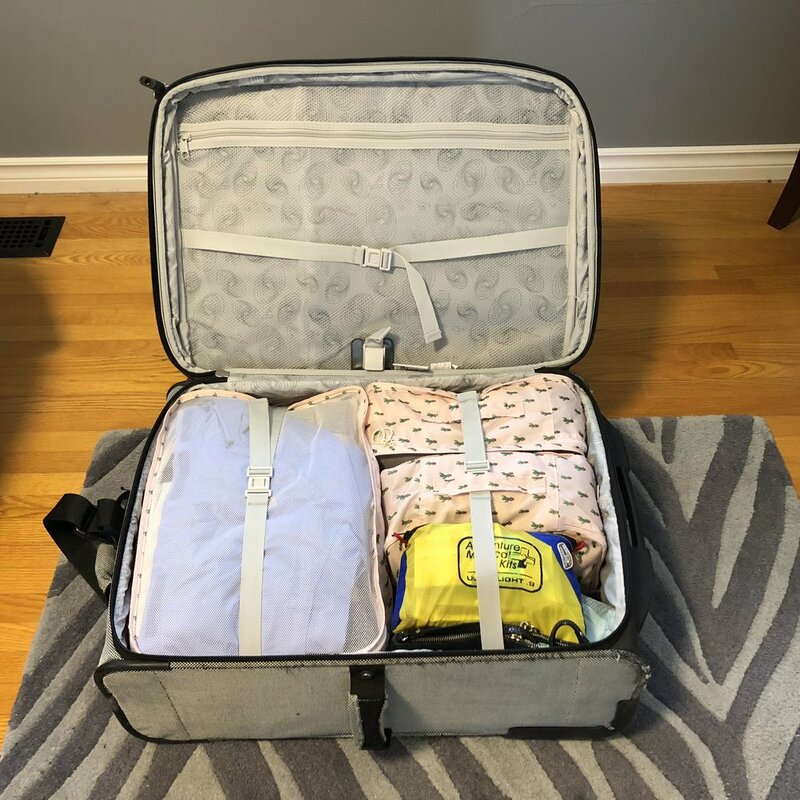 There are a tonne of parenting blogs out there that provide some really great advice for families that are planning and packing for their first (or tenth) trip to an all-inclusive resort. However, as someone who has worked in public health and does research in the area of public health I will admit that in talking with families we encountered on our trip there is a lot of information that is not covered in those preparing and packing blogs that families should consider. So if you are focused on keeping yourself and your kids healthy and happy while travelling I am going to make a few important recommendations below. 1) Visit a travel medicine clinic in advance of your trip. Exposure to food and water-borne pathogens as well as mosquito-borne diseases is a reality when you are travelling to the Carribean (and elsewhere). A trip to your local travel clinic will put you in touch with a medical professional who can give you important information about the health risks that your family might be exposed to that are specific to your destination. They can also make sure that everyone in your family is up to date on any necessary immunizations. For instance, kids in Canada don’t typically receive a Hepatitis vaccine before they are teenagers (mostly because the risk in Canada is very low from food and water) but Hepatitis is something that your kids could be exposed to by eating and drinking at an all-inclusive resort. Many of the travel related vaccines require multiple doses so you need to get everyone into the clinic with enough time to complete the necessary vaccine schedules (and your health insurance will likely cover all or most of the cost). You can find the recommended travel vaccines by destination on the Health Canada website. Also, a travel medicine clinic can prescribe a course of antibiotics for you to pack (see #2) for each traveller in the case of someone experiencing gastrointestinal illness which can be quite common when eating and drinking in another country. For kids this is especially important because the antibiotic prescription and dosing is based on your child’s weight. If your kids pick up a stomach bug because of contaminated food or water the antibiotics will work to clear it up quickly and not ruin your entire vacation by having someone spend the week (or flight home) in the bathroom. 2) Pack a serious first aid kit. When I travel out of North America, I carry a pretty significant first aid kit for myself and when travelling with the kids I consider this one of the most important things to pack. Health Canada has a great list of things to include in your travel medical kit here. I can’t begin to tell you how many families we saw who had kids that were absolutely bitten up from mosquito bites (including a few kids with an eye swollen shut because of a bite on their eyelid). Mosquito repellant, some sort of anti-itching cream, and benadryl are staples in our kit. Also, a thermometer, fever reducer for adults and kids, hand sanitizer, anti-diarrhea meds for adults and kids. We also pack water purification tablets. All of this stuff takes up a lot of space and may mean you need to check a bag if the containers are more than 100ml of liquid but if you end up needing it you will be really grateful that you planned ahead. 3) Know (and follow) the recommendations around making safer food and drink decisions. Now I am going to be a complete buzz kill here but stay with me. You have to eat and drink when you are travelling and the best way to stay healthy when on the road is to boil it, cook it, peel it or leave it! Now I know what you are going to say. You travel a lot and eat everything under the sun and have never been sick. Fair enough. But this is a critical component of travel health and one that is even more important for kids. Did you know that it only takes a single (ONE) viral particle of Norovirus to make its way into your mouth (from your unwashed hands, surfaces, or contaminated food or water) and you will be spending the next 48 hours with brutal vomiting and diarrhea and wishing you had followed the rules so your vacation was not spent in the toilet. I am strict with my kids on this one and they know the rule (in fact, my youngest on the plane ride home from Cuba turned to me and said that she was excited to have a drink with ice, and eat a sandwich with lettuce when we got home). She is only 3 but she know the rules. Our kids don’t eat anything when we are travelling without a parental OK. That means no ice, no cut fruit, salad or other cold vegetables, or luke warm buffet food. Sometimes it can’t be avoided but on this one thing I am strict (but it is not easy). The resort that we were at in Cuba had ALOT of what I would consider serious food safety issues mostly because the buffet chafing dishes were not keeping the food hot AT ALL. However, I actually think that our family was the ONLY family following the “rules”. There were a lot of families that had really sick kids (or parents) and luckily we were not among them. In fact, one of my colleagues who is a travel medicine/infectious disease specialist told me that out of all of the really sick kids returning from trips and requiring an infectious disease consult, over 95% of the parents admit to taking zero precautions regarding making safer food and water choices while travelling. Registration of Canadians Abroad (ROCA) is a free service provided by the Government of Canada to notify travellers in case of an emergency abroad or a personal emergency at home. The service also enables you to receive important information before or during a natural disaster or civil unrest. When I travel on business or pleasure, I always register my travel plans. Just last week when we were in Cuba there was a tornado in Havana and we received notifications and information from the Canadian consulate regarding the situation. We were not in Havana at the time but if we had been it would have been useful to be receiving the updates. So besides your first aid kit, what would I recommend that you pack for a trip to an all-inclusive resort in order to keep your kids happy, and healthy? Juice crystals, or other powdered beverages - Our kids are not huge fans of pop/soda but most juices etc. available at resorts will have been made with potentially contaminated local tap water and not bottled water. I knew that our kids would be pretty sad about not drinking slushy drinks from the bar like every other kid at the resort, so we packed a bunch of different types of powered juice mixes etc. It is not something that they would typically get at home so it was exciting for them and we could mix them up a “juice” in their insulated bottle using bottled water and didn’t have to worry about it. Insulated water bottle - The resort bartenders flat out told us that the ice available at all of the restaurants and bars at the resort was made out of local tap water and not bottled water. In this case, an insulated bottle is great for keeping drinks colder without ice in a warm climate. Powered milk - This sounds weird but in a pinch (and when the kids were having a hard time finding something they wanted to eat) there was usually dry cereal available at breakfast and dry cereal is lower risk from a food safety standpoint. However, the milk that is out beside the cereal at breakfast has likely been sitting out in the heat for an extended period of time and may not be pasteurized (Yuck and Yuck). Powered milk means that you can always mix up some milk with bottled water in the room and then the kids could have cereal without having to eat it dry all of the time. Pro-tip: Pack some ziplock bags in your bag when you go to the buffet so that the kids can scoop cereal out to take back to the room for a snack later. Snacks - We always pack lots of healthy snacks for in between meals (e.g nuts, granola, bars, dried fruit etc.) and this is especially good for in a pinch when the food options are not great. Travel Packing cubes...can they turn me into a packing ninja? I have to admit that up until about a month ago I wondered what all of the hype was in regards to packing cubes. Yes, I had read about them on travel blogs and seen them in our local Winners store but they always seemed like a bit of a weird item to spend money on. For some reason, in my head I saw them as more for camping or backpacking. When I was an undergraduate student backpacking in Europe with my best friend, I could have used some travel cubes to jam all of my stuff into a tight package and then shove it into a larger bag. This would certainly leave more room for other important items like delicious food (or a box of wine) but for a suitcase? I was not sold. Then, I saw an Amazon listing for a set of travel cubes and it was a great price ($27.88 CAD) for a bunch of different sizes. I decided to give it a go for my upcoming trip to Thailand where I was going to attend an academic conference that would require some creative packing to get everything I wanted to pack into my bag. It turns out that I LOVE travel cubes and am now a convert. This trip to Thailand was a challenge because I was going to need a full 5 days worth of “work clothes” + workout and swimwear. I was also planning to stay after the conference for 2 extra days of sightseeing so I needed comfortable casual clothes that could hold up to some seriously sweaty weather. I was also going to need multiple pairs of shoes, a smaller crossbody bag for evening dinners, a sunhat and toiletries. Add in a travel first aid kit (that I never travel internationally without) and my suitcase was getting fuller by the minute. Travel cubes to the rescue (and I can’t believe how amazingly organized they made me feel). I had become a packing ninja! I still ended up taking a bunch of stuff I didn’t use at all (like my rain jacket, and a jean jacket) but in general, I would say it was a success! I am planning an upcoming outfit post regarding what exactly I packed for this trip soon so stay tuned.